Vortex was the eighth ride we rode at Canada's Wonderland. 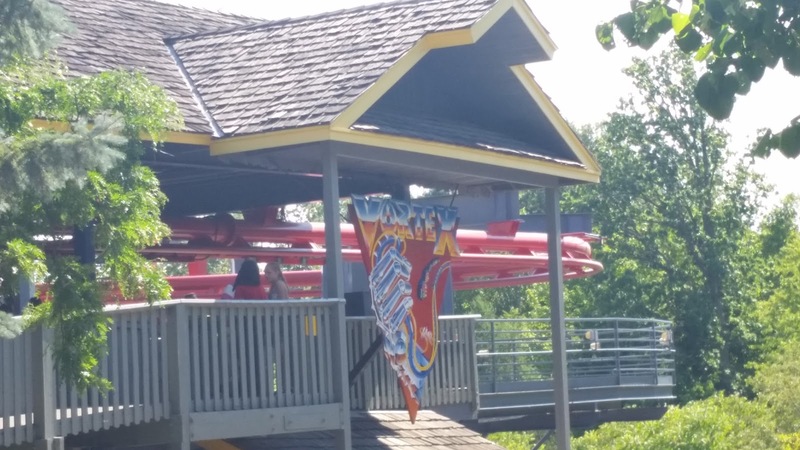 Not to be confused with other rides named Vortex, this steel suspended coaster ride is more like the old Top Gun ride at Kings Island. It is old (1991, the first suspended coaster in the park) and although it's steel, it's pretty bumpy, especially the end. This is the third coaster that interacts in some way with Wonder Mountain (you go over it). I think we were expecting it to be better than it was from how it looked from the ground. See all of our Canada's Wonderland experience here.